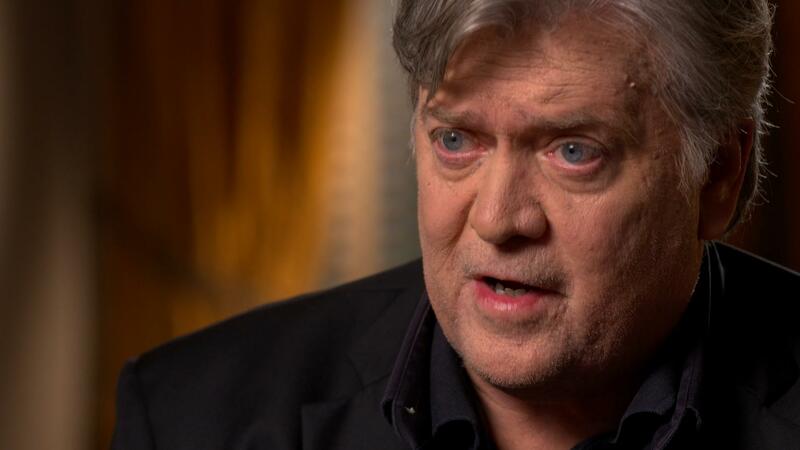 Steve Bannon says firing James Comey was biggest mistake in "modern political history"
Former White House chief strategist Steve Bannon says President Trump's decision to fire James Comey as FBI director was the biggest mistake in "modern political history." In an interview with CBS News' Charlie Rose on "60 Minutes" that aired Sunday, Rose said that he had heard that Bannon had described Comey's termination at the biggest mistake in political history. "That probably would be too bombastic even for me, but maybe modern political history," replied Bannon, speaking in his first television interview. He has returned to running the conservative website Breitbart. Rose then repeated what Bannon was suggesting: "So the firing of James Comey was the biggest mistake in modern political history." "I think, if you're saying that that's associated with me, then I'll leave it at that," Bannon said. Bannon said that if Comey had not been fired in May, former FBI Director Robert Mueller wouldn't have been appointed as a special counsel and wouldn't be leading his investigation into Russian meddling in the 2016 U.S. election. "I don't think there's any doubt that if James Comey had not been fired, we would not have a special counsel, yes," Bannon said. "We would not have the Mueller investigation. We would not have the Mueller investigation and the breadth that clearly Mr. Mueller is going for." Bannon said he doesn't believe Mueller should be fired. In response to the exchange, White House Press Secretary Sarah Huckabee Sanders told reporters at Monday's press briefing that the White House has been "pretty clear" on its position of the firing. "The president was right in firing Director Comey, since [the] director's firing we've learned new information about his conduct that only provided further justification for that firing" which she said included giving false testimony to Congress, leaking information to journalists and politicizing the ongoing Russia investigation. "The president has been clear on his position on that front, he's very pleased with the new director and has full confidence in him to fully restore and lead the FBI," added Sanders. Sanders said she was not sure if Mr. Trump had seen the entirety of the interview with Bannon, but told reporters from her perspective, "I'm sure it made for great T.V."